Have you ever wondered what it would be like to do science as an independent contractor? As the world becomes increasingly Uber-ized, scientists are leaving academia and exploring alternative career paths. As with other fields, becoming a freelancer in science has perks and pitfalls—and some additional factors that are unique to science. Freelance science writer Roberta Kwok, who reported on the topic for Nature, joins Ira to talk about what being a freelance scientist entails. Roberta Kwok is a freelance science writer. She’s based in Kirkland, Washington. Because every story has a flip side. A few years ago, it would have been hard to imagine that you could make money by driving around strangers in your own car, right? Unless it was a taxi that you owned. And then Uber was born, changing the way we travel forever. But it’s just one example of the gig economy. And this is where freelancers and one-time job seekers aren’t exclusively tied to any single company. And they’re popping up in almost every sector, including science. So what does a scientist for hire look like? Joining me to talk more about this is my guest Roberta Kwok. She’s a freelance science writer based out of Kirkland, Washington, and she recently wrote about science and the gig economy in the journal Nature. Welcome to the show, Roberta. ROBERTA KWOK: Hi, Ira. It’s great to be here. IRA FLATOW: Thank you. So why are scientists becoming freelancers? What’s so good about that? ROBERTA KWOK: Well, a lot of freelance scientists don’t necessarily set out to become freelancers. But what’s happening is that there are so many science PhDs out there, people with PhDs, and there just aren’t enough jobs at universities, academic jobs, to accommodate them. So maybe they would apply for a couple of years, they’re not getting much traction, and they realize that if they become a freelance scientist, that’s a way to still stay in science, contribute to research, without having to have that traditional affiliation. IRA FLATOW: So how do you become one? ROBERTA KWOK: I don’t know if there’s a switch that you turn on! IRA FLATOW: But we know how to become other freelancers. It’s basically, you look for a job as a part-time job, as a freelancer, and you work for yourself? ROBERTA KWOK: Right. So what some scientists do is they will just start calling on their old academic networks, letting them know, hey, I’m a freelancer now, and I’m available to, say, write software, or run computer simulations for you, or whatever they might need. And so people that they used to work with during their PhD or their postdocs will start giving them work. Other scientists are using websites like Kolabtree, so that’s something that started up a couple of years ago out of London. 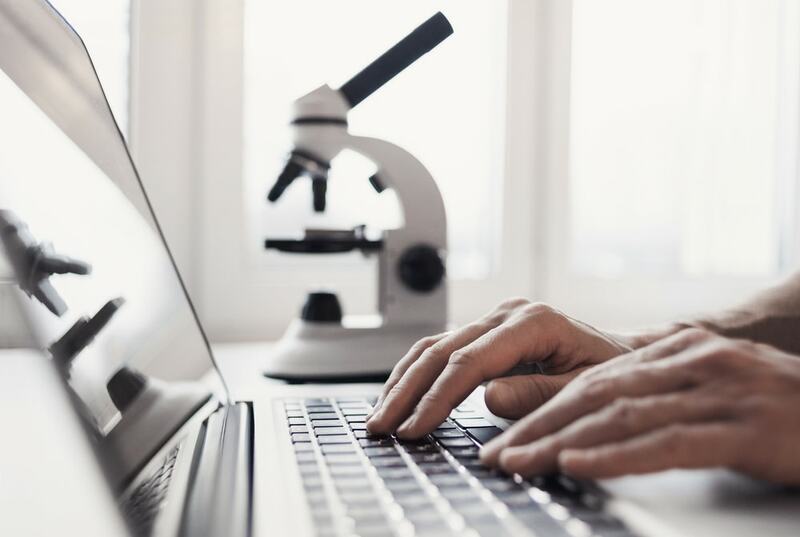 And it’s a platform that gives freelancers, mainly scientists, a way to sell services ranging from statistical review to experimental design to literature searches through this website. And as of last month, I think there were about 3,200 people registered on that. ROBERTA KWOK: So that’s another way. Yeah, 3,200. IRA FLATOW: 3,200. Now, I know as a freelancer– I’ve been a freelancer myself– there is a risky downside to this, isn’t there? ROBERTA KWOK: Absolutely. So the downsides of being a freelance scientist are the same as they would be for any other freelancer. You don’t necessarily know what your income is going to be like in a given month or a given year. It can fluctuate a lot. You’re struggling with a lack of benefits, especially in the United States. And for researchers, there’s a couple of specific issues that they have to deal with as well just specific to science. So for example, if they wanted to apply for a research grant, depending on the funding agency, they may or may not be allowed to. So some agencies might stipulate, you have to be part of a traditional institution to apply for our funding. IRA FLATOW: And I guess as in all freelance work, there’s no path to moving up, because you’re not really in the company. ROBERTA KWOK: Right, it’s much more ad hoc. So you have to set your own career path. You have to provide your own motivation to seek out projects that you might be interested in. So you won’t necessarily have a mentor or even colleagues that you see everyday that could help guide you. IRA FLATOW: Is there any one branch of science that has more freelancers than others, or freelancer-friendly? ROBERTA KWOK: Yeah. There aren’t great statistics on this, but a field like data science would obviously be more amenable to this kind of thing. So anything you can do on a computer, online, is going to be easier than, say, a field that requires research. Studying butterflies, or whales, or something like that isn’t going to make as much sense for freelance science. IRA FLATOW: Now, I know freelancers and other fields like journalism often have more than one iron in the fire at a time, more than one project going at a time. Is that a thing in freelance science? ROBERTA KWOK: Sure. Some people have a fairly limited number of clients, like maybe they just would have three different universities that they’re working with. And others are doing a lot more small, short-term projects, just churning them out week by week. So for example, one freelancer I spoke to– she’s a scientist who used to do academic research. She’s now in Singapore, and she has done everything from proofreading academic manuscripts, to consulting for an industry startup, to, for one project, a person had a family member with cancer. They wanted to understand chemotherapy better, and so she looked up the latest research and wrote a report for them. So it can really be a wide mix of stuff. IRA FLATOW: And you can drive an Uber in the meantime to make some real money! ROBERTA KWOK: Well, absolutely. One scientist that I spoke to– she is a freelance scientist. And when she was just starting out, she wanted to pick up a little extra cash, and so she drove for Lyft for just a week. ROBERTA KWOK: But yeah, that was part of it. IRA FLATOW: We’ve all got to make a living. Thanks very much, Roberta. ROBERTA KWOK: No problem. Thanks for having me. IRA FLATOW: Roberta Kwok is a freelance science writer based out of Kirkland, Washington. We’re going to take a break. When we come back, the CEO of the Gates Foundation, Sue Desmond-Hellmann, is going to join us to talk about science communication in the era of fake news. How can science and journalists be better communicators? We’ll talk about that and other stuff after the break. Stay with us. Kim Stanley Robinson, Andy Weir, and more share some of their favorites.